I’ve teamed up with Opal® Apples to bring you this easy, delicious Apple Coleslaw. I’ve been compensated for my time. All opinions are mine alone. This easy Apple Coleslaw is great for lunch or dinner and every party you will ever host or attend. Everything can be prepped ahead of time. In my quest for The Ultimate Coleslaw, I did a lot of research. I did some trial-and-error. I had to buy more than one head of cabbage before the day was over. Luckily, between the wisdom of those who have gone before me and my own tastebuds, I landed on a pretty terrific combination. This Apple Coleslaw tastes GREAT so you can eat it plain, on the side of something else, or directly on top of your next Barbecue Pork Sandwich. First, the cabbage. I read tidbits about using a food processor with the shredding attachment to shred cabbage. Wow, was THAT a mistake. The cabbage was pulverized beyond recognition. 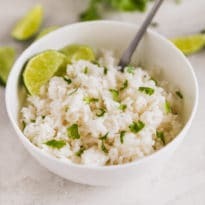 If you want to make “riced” cabbage, though, use your food processor. Wash the head and peel off the outer layers. Cut the cabbage in quarters. Cut the core off of each quarter at an angle. This is a much easier, much safer method of coring a cabbage than trying to carve it out of the whole head. Turn each wedge on to a flat side and thinly slice the leaves. Over at Serious Eats, they talk about tossing your shredded cabbage with kosher salt and letting it drain. I love this idea, although you can omit it if you want to. Even just a half hour (the time it takes for your dressing to chill) will remove a lot of water and season the cabbage nicely. 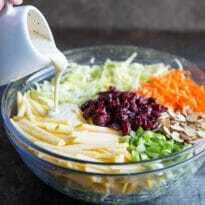 While the dressing is chilling and the cabbage is draining, you can easily prepare the rest of your ingredients. Or, everything can be prepped a day in advance. Even the apples! If you recall from my favorite Waldorf Salad post, Opal® Apples don’t turn brown when cut (and this is a natural phenomenon, not a genetically engineered one). 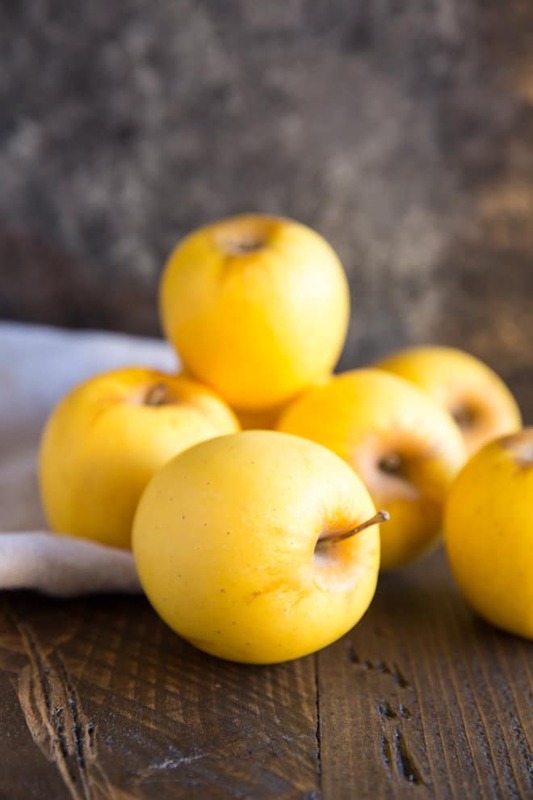 They are also sweet, delicious, and a lovely golden hue! Enter to win a sample box of Opal Apples AND a super cute bento box to store them in! Just leave a comment on the post and you’ll be automatically entered to win. Be sure to follow Opal® Apples on Facebook! 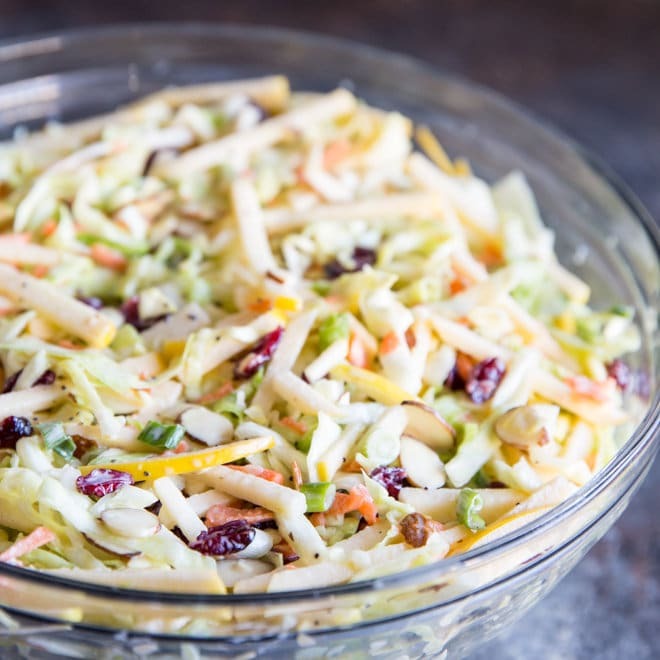 Save this Easy Apple Coleslaw to your “Side Dishes” Pinterest board! 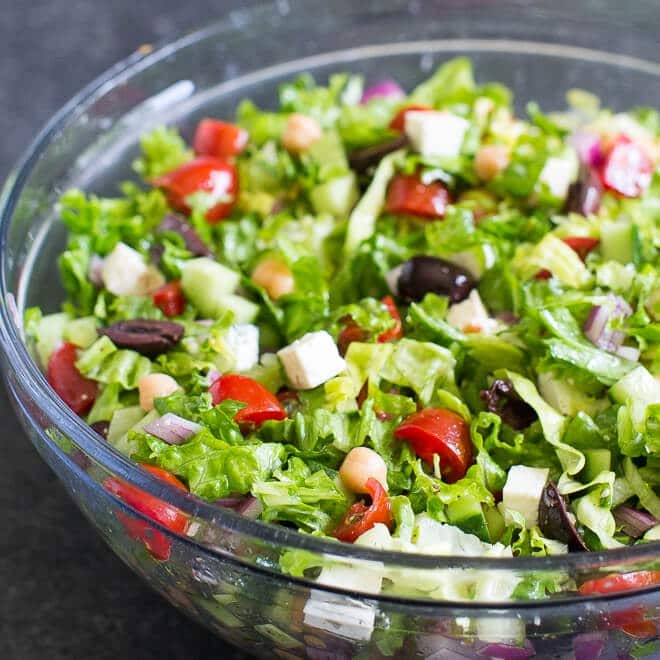 To make the dressing, whisk mayonnaise, sour cream, vinegar, sugar, honey, mustard, poppy seeds, and 1/2 teaspoon pepper in a bowl. Cover and refrigerate at least 30 minutes or up to 3 days in advance. 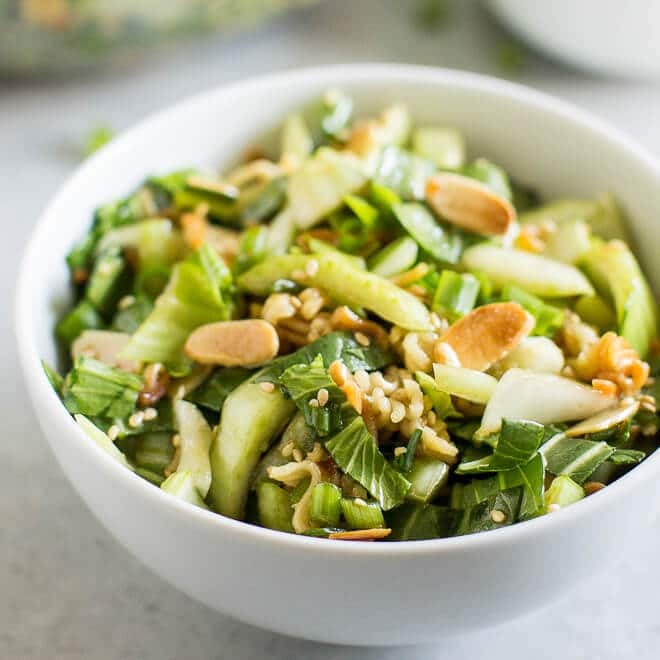 Toss the cabbage with 1/4 cup kosher salt and set in a colander over a bowl for at least 30 minutes, tossing occasionally, to draw out some of the moisture from the cabbage. Rinse well and pat dry. While the cabbage is draining, Core the apples and cut them into 1/8"-thick slices. Then, stack the slices and cut them in to 1/8"-thick matchsticks. Grate the carrots on the large holes of a box grater. Slice the scallions thinly. 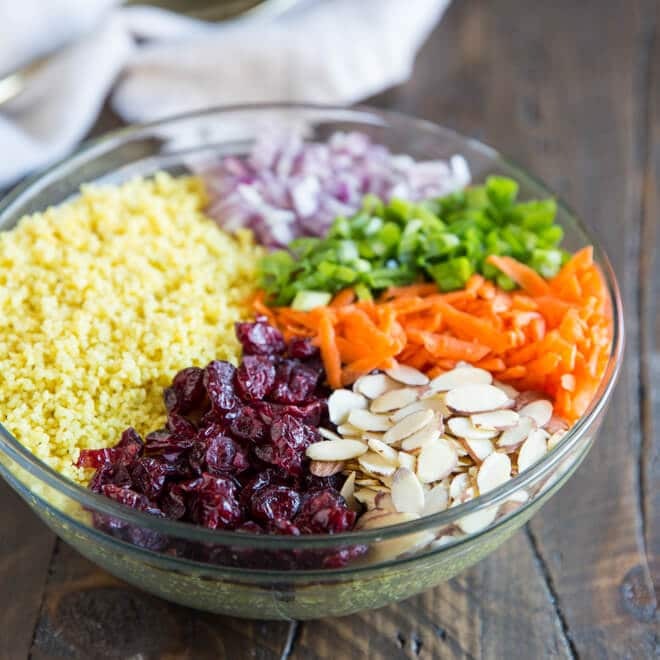 In a large bowl, combine the drained cabbage, apples, carrots, cranberries, and almonds. 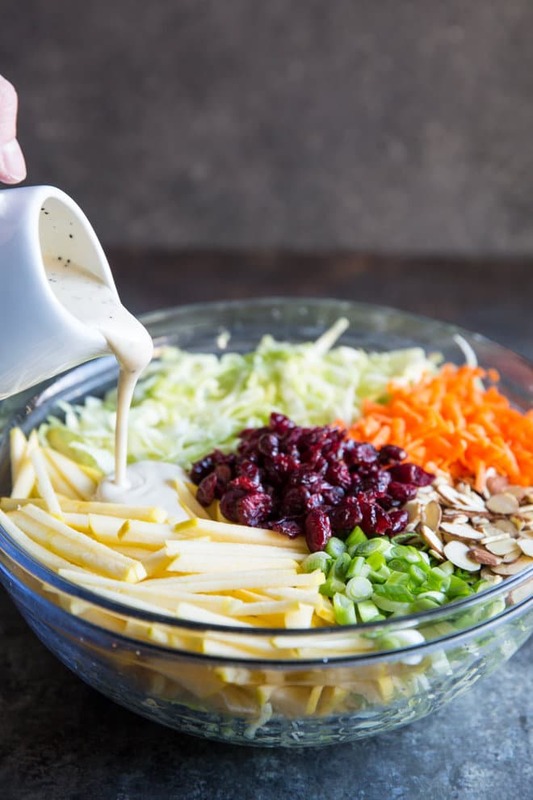 Whisk dressing to recombine and pour over slaw. Toss until evenly coated. I recommend using a knife to shred the cabbage (or buying a bag of shredded cabbage). I tried shredding my cabbage using a food processor (with the shredding attachment). I thought this would be a great, time-saving idea but it totally just pulverized the cabbage beyond recognition. 1/2 cup shredded carrots may be substituted for grating 2 carrots by hand. Adapted from Serious Eats. They had a lot of great ideas such as draining the cabbage. I also loved some of the extra mix-ins I saw at Cooking Classy. Nuts and fruit – always a perfect combination! I always enjoy coleslaw, and I especially love how you’ve sexied it up here. Really easy, too! P.S. OK, spill the beans – how on earth do you look after a newborn and carry on blogging??
. Great way to change up a boring side dish ! This recipe WILL be saved! I discovered Opal’s this year and am in love. They stay nice and crisp, I’m sure this slaw will be perfect for them. Hooray, Susie! That’s great to hear. I love the Opals. When I started looking for them, I suddenly found them everywhere. Thanks so much! I didn’t know that about Opal apples. I’m going to have to look for them in my stores. I have to try these opal apples, in love with this version of slaw.???? I’m always on the search for a good coleslaw, and I am excited to try this one. I will also be on the lookout for Opals! My kids love sliced apples, but they just don’t keep well for lunches. I am excited to try Opals. Made this today and it is absolutely delicious! Definitely going to become a family favorite! Made this today and I really enjoyed it was a great variation of coleslaw we adding to my recipes. 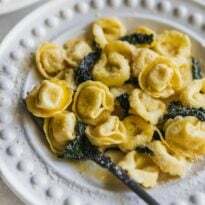 Looking forward to making this this week! Tried this recipe and it was terrific. Will be making it again. 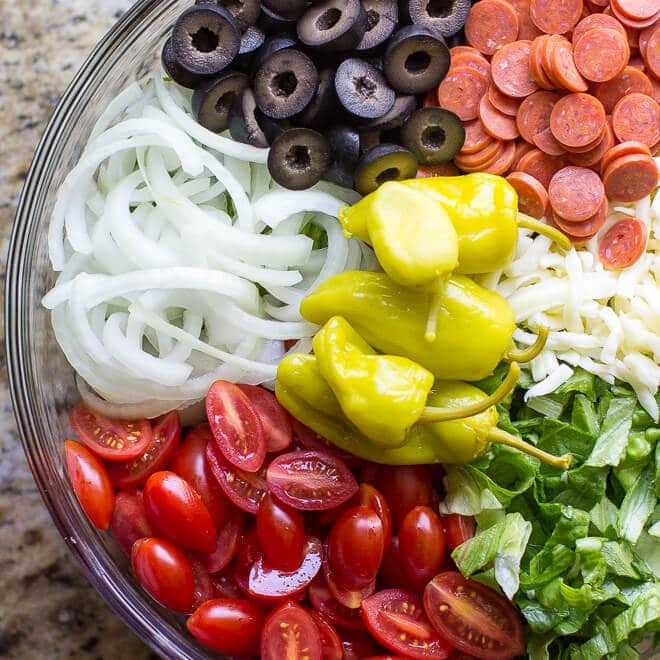 The colors in this salad are awesome! I used half green and half purple cabbage for a little more jazz. Wonderful recipe!